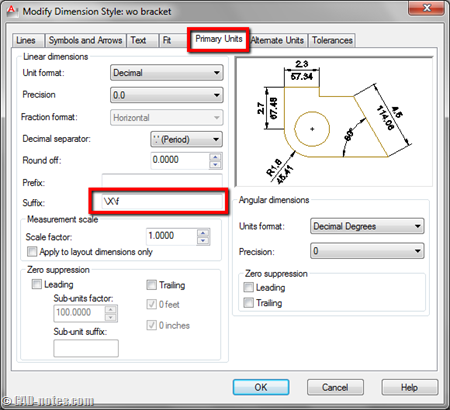 Do you use alternate unit in your AutoCAD dimensions? If you do, you should notice that the that units are written inside bracket like below. 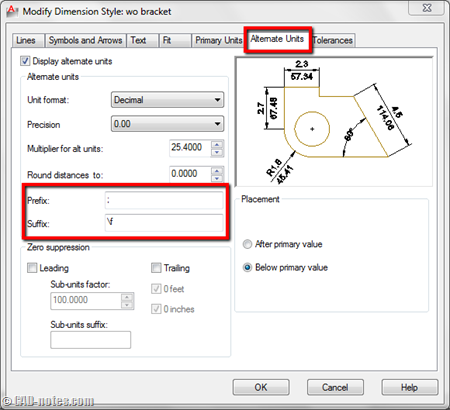 If you wish to remove the bracket, or change it to other type of prefix/suffix, you can do it using simple steps below: by modifying dimension style. To remove the bracket, open dimension style. You can type in command line for DIMSTYLE then press [enter]. Go to primary units tab. Leave the prefix field empty, and type \X\f in suffix field. If you already enable display alternate units, then you will see it disappear in preview window. Don’t worry, we will make it appear again in the next step. Now go to alternate units tab. If you haven’t activate it, activate it now. You should see the alt units appear in preview again. Click OK and try to create a dimension using this style! What if you want to change the bracket type? Not [ ] but maybe () or | |. Easy. Just add ( in the alt unit prefix, and ) in suffix like below. You will see the alt units’ font be different with the primary. 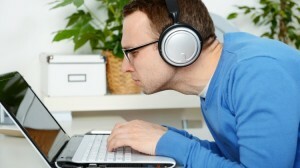 This method will remove any formatting used in text style. It will use font type that’s defined in options (see later in this post). To fix this, you need to add the font type in the prefix. So instead of typing ; only, add ;\fArial; to define the font type. Arial is the font name. You can try to use other type if you want. Credit to Paul Munford from CAD Setter Out who found this method. The default font for alternate units is defined in options. 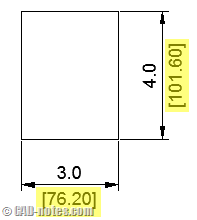 If you want to change the default font, go to AutoCAD options. Go to files tab. Expand text editor, dictionary, and font file names. Find alternate font file, then change it to match the font you use in dimension style. 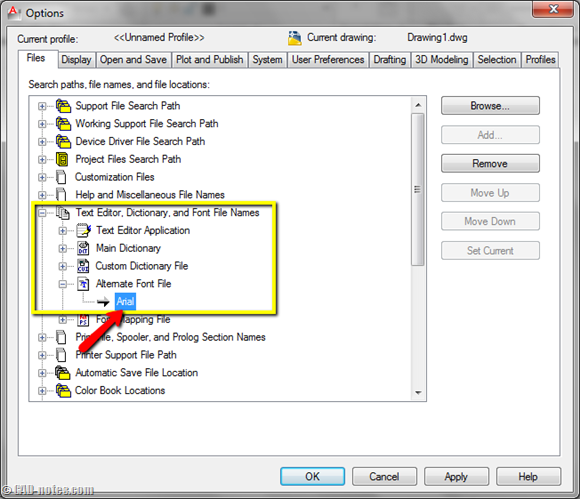 You may need to restart AutoCAD (close and reopen AutoCAD, not restarting the Windows) to see the changes. Credit to Patchy and ToanDN who gave this solution in Autodesk forum. After trying that tip out to the letter, you are absolutely right.